This card is one I made for a demonstrator swap I participate in each month. The theme was Easter or Mother's Day. I hadn't used the stamp set Beautiful Bouqet except for the wonderful image stamps that are a part of it, so this was the set that I determined to create a card using. I love how the Stitched Rectangle Framelits add just that little bit of detail to a card front. 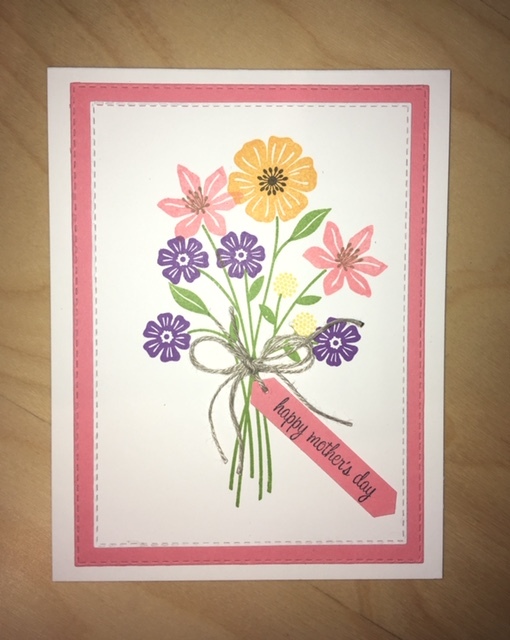 A "mother's day" tag tied off with a bit of Linen Thread finishes it off! 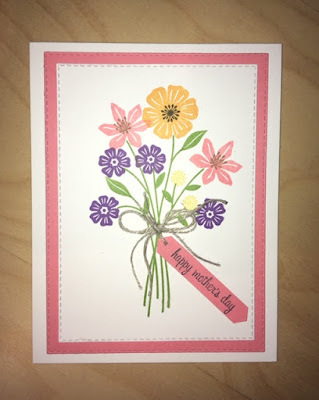 I hope I've inspired you to go and make a card! If you need supplies, I'd welcome the opportunity to help you out. Check out my SU! store to get all you need.